Jose Mourinho is having doubts about Manchester United’s midfield transfer options, namely Jean-Michael Seri. Apparently, the self-proclaimed Special One feels he’s too small for the Premier League. That’s according to The Mirror, per The Metro, who say that the Nice player Seri was a top Manchester United transfer target as the Red Devils look to overhaul their midfield. 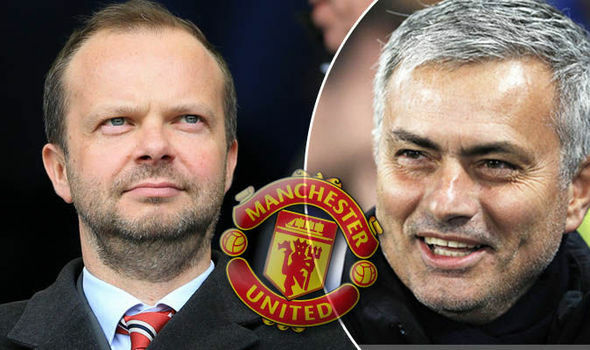 Mourinho wants to bring in another holding-midfielder, presumably to free up Paul Pogba while allowing the Frenchman to affect the game more in an attacking capacity. However, you also have to remember that Michael Carrick will be hanging up his boots at season’s end, whereas Marouane Fellaini is yet to put pen to paper on a new deal at Old Trafford. With Seri standing at just 5’6, you can see why Mourinho has doubts. This is a manager who has made a living out of signing big, powerful midfielders who physically dominate football matches. Although Seri is a strong lad, the lack of height could be a huge issue. The report says that both Liverpool and Arsenal have also shown an interest in the man from the Ivory Coast, so there is some huge demand in him, regardless of whether Mourinho makes his move or not.